Total Lunar Eclipse 2019 in Pakistan will take place on January 21, it will also be a supermoon and super blood wolf moon. 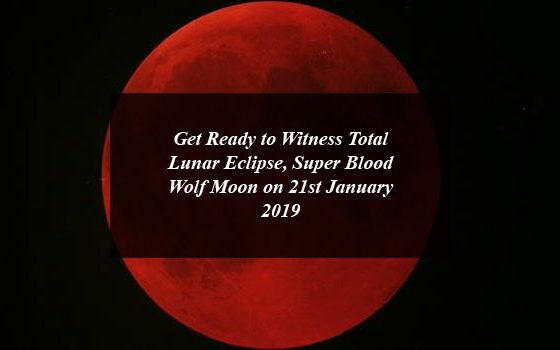 Get Ready to Witness Total Lunar Eclipse, Super Blood Wolf Moon on 21st January 2019 in Pakistan. There is a good new for the skygazers a total lunar eclipse that will take place on 21st January, 2019. 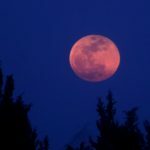 The year 2019 will begin with a rare ‘Super Blood Wolf Moon’ eclipse, but it’s only the first of many unbelievable starwatching events throughout the year. The astronomic chand grahan event will arise approximately a year after the 2018 total lunar eclipse, this time it featuring a red touch caused by the moon passing through the Earth’s shadow. Lunar Eclipse, Super Blood Wolf Moon to occur on 20th January 2019 in many countries including, USA, UK, Africa and many European countries. On the 21st January there will be a total lunar eclipse and the skywatchers across the world will witness the longest total lunar eclipse or chand grahan which would also be a supermoon, super blood wolf moon. After that, you have to wait until May 26, 2021, for the next total lunar eclipse. This time there will be total eclipse with the blood moon and will be visible over most of North America, South America and parts of west and north Europe, while the few European countries and Africa can witness the end of the eclipse. It’s been more than three years since everyone in USA has experienced a total lunar eclipse on the night of 27, 28 September, 2015 and now once again the skygazers in U.S. will witness the historical event. The event will start at 9:36PM and the total total phase of the darkness of the moon will start at 11:41PM in the Eastern time zone, ultimately ending a little before 3AM ET, during which Earth’s natural satellite will turn a spectacular red or ruddy-brown color. Furthermore, during this period of chand grahan moon will be near to the earth that’s why it would also be a supermoon. Though, few people are aware that just hours after eclipse there will be an unusual pairing of Venus and Jupiter in the pre-dawn sky. The people in Western Europe watching the Super Blood Wolf Moon will also be able to watch Venus and Jupiter pairing just above the eastern horizon while an eclipsed moon moves down in the west. What is total lunar eclipse and blood moon? Throughout a total lunar eclipse, the Moon typically turns a deep, dark red-orange like the sunset because it is brightened by light that has passed through the Earth’s atmosphere and has been bent back towards the Moon by diversion. The color of the Moon during totality depends on the global state of dust in the Earth’s atmosphere, sometimes red or probably almost imperceptible. 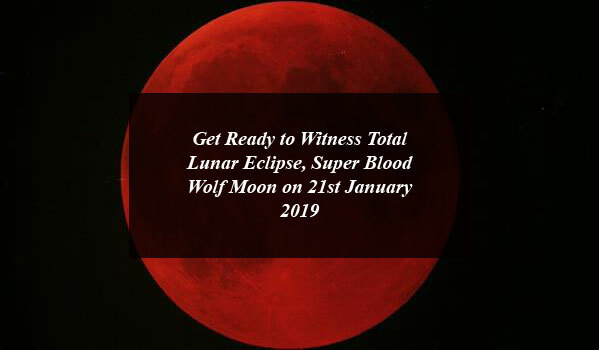 Lunar Eclipse, Super Blood Wolf Moon to occur on 20th January 2019. The eclipse or super blood wolf moon will be visible in North America, South America and parts of west and north Europe, while the few European countries such as Iceland, Ireland and Portugal will also witness the event. Africa can witness the end of the eclipse. Asia will see a partial eclipse of the Moon while the Ukraine and Turkey won’t be able to catch the full eclipse but will watch the striking part. The lunar eclipse or chand grahan will also pass through Pacific, Atlantic, Indian Ocean and Arctic. There will be no partial or complete lunar eclipse visible in China, Australia, New Zealand, South-East Asian countries, Koreas, and parts of Japan, Kyrgyzstan, Mongolia, and parts of Afghanistan and Tajikistan. The eclipse, blood moon, or chand grahan will not be visible in Pakistan and India on 21st January. As per the information released by NASA the 20-21 January, 2019 total lunar eclipse will last 1 hour and 2 minutes. The full experience, from the start of the partial lunar eclipse to the end, will last 3 hours and 17 minutes. the totality will start before midnight across the U.S., and last for 52 minutes. The peak is also recognized as the “greatest eclipse” and is defined as the moment when the moon comes closest to the axis of Earth’s shadow. Here is the time of the occurring of the eclipse in different countries. Miami, Florida– January 20 10:33 p.m. Unlike with solar eclipses, you can watch the lunar eclipse with naked eyes there will be completely no risk to your eyesight. Though, binoculars or a small telescope will be used to watch the details in the lunar surface. For those who are not able to watch the lunar eclipse can enjoy the live stream on astronomerswithoutborders.org. 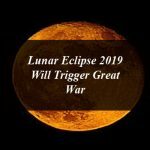 In the year 2019 there will be five eclipses, 3 solar eclipses and 2 lunar eclipses and also a rare planet transit. The second lunar eclipse of 2019 which will be of partial type will be in between 16-17 July and will be visible Europe, Asia, Australia, Africa, South/ East North America, South America, Pacific, Atlantic, Indian and Antarctic Ocean. The first total lunar eclipse of 21st January the next same event will occur on 26th May, 2021, and will be witness over the Pacific Ocean, North America, South America and East Asia.